To access all the features of the CTT website including the Forum Shop, full layout, and more, you must be logged into your account or else you will be unable to view it. NOTE: Crush the Throne is undergoing a major revamp and so the site's current design does not accurately portray it. You will see more large changes happening over the next couple of weeks so stay tuned. 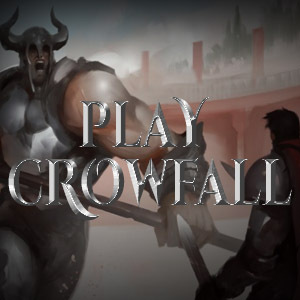 The Countdown Comes to a Close, Crowfall is Fully Funded! The Kickstarter countdown has come to an end and we have more than doubled the initial goal! Closing at $1.7 MILLION, we also hit all of the backer goals! New archetypes, relics, various features and much more can now be added to Crowfall thanks to your support. The Stretch Goals Continue! Myrmidon Minotaur Archetype! 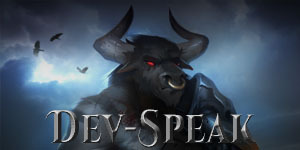 Stretch goals continue to be met for the Crowfall Kickstarter! Over four new goals have been added, one of which being the Myrimdon Minotaur archetype! ACE stated that if $1.5 million is reached, he will be introduced to the game. Stretch Goal 3 has been announced which gives us a look at the Artifacts and Relics aspect of Crowfall while also expanding on mounts and caravans. What can these Pack Pigs do? Guilds come and go and finding one that’s been around for almost a few decades is impressive. This month’s featured guild is Lords of The Dead and they’ve been a strong PvP presence in most MMO’s out there since 1995.